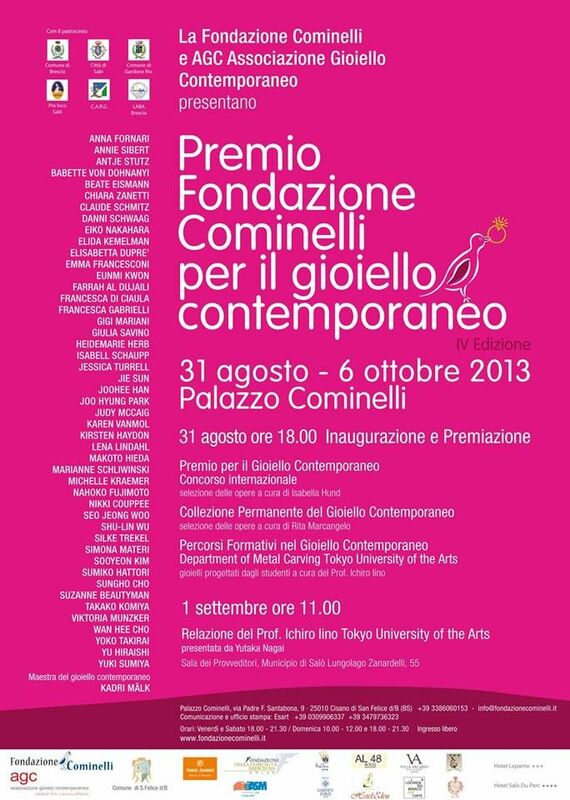 With the fifth edition of the Fondazione Cominelli Award for Contemporary Jewellery 2014, there will also be the exhibition of the works of the Permanent Collection of Contemporary Jewellery; each edition will enrich the Collection with new works, some by the competition participants and others by artists selected by the Gallerist Rita Marcangelo. Farrah Al- Dujaili’s design methodology is equal measures of intuitive play and measured control. Often tempted by the suggestion of new forms held within a piece, she imposed restraint to stay with the form of the Venus flytrap but plays with its endless compositional possibilities. Each component is individually soldered ensuring no one piece is the same to uphold the idiosyncratic aesthetic of her work. By using one single form multiple times she attempts to reveal the machinations of her mind at work as pieces germinate into different compositions. My work explores the ideas of growth, transformation and disintegration. I create pieces by combining permanent and temporary materials such as paint, metal and sugar. I find inspiration in surrealist science fiction, which is rich in atmosphere and imagery. Many of the books describe apocalyptic landscapes and alternate worlds that are on the brink of geographical catastrophes. In these dramatic dreamscapes there are no utopias, emphasis is placed on mental explorations and evocative journeys of the isolated humans. This collection focuses on the term ‘Wear and Tear’, which can be used to describe damage, depreciation or loss. My jewellery is a body related tool used to comment on problems arising from the collision of the man-made and the conditions of nature. This collision, in combination with the ongoing fusion of cultures fascinates me and it affects my work as my own life is a cultural combination. I use theoretical tools like semiotics and the science of perception to reflect on these topics with a touch of irony. The contradictions between the rational and the intuitive, between what we see and what we make of it feed my jewellery universe. My investigation into the interrelationships between objects and the imagination is an ongoing process. My way of working is to draw on diverse methods, which help me to be aware of every decision including those which deliberately allow for chance. I strive to reach a subtle, sometimes minimalist aesthetic in my work, leaving it to the beholder to decode its message. It should irritate as much as it stimulates reflection. A few words on the new pieces from the 2014 series called Midas’ Musa: In ancient Greek mythology King Midas got his wish fulfilled that all he touched may turn into gold. Musa is the Latin botanical name for banana. I imposed the restriction on myself to stay with one form and fuse it with one intellectual idea to make my point and raise some questions about habit and routine. This series is literally Food for thought. 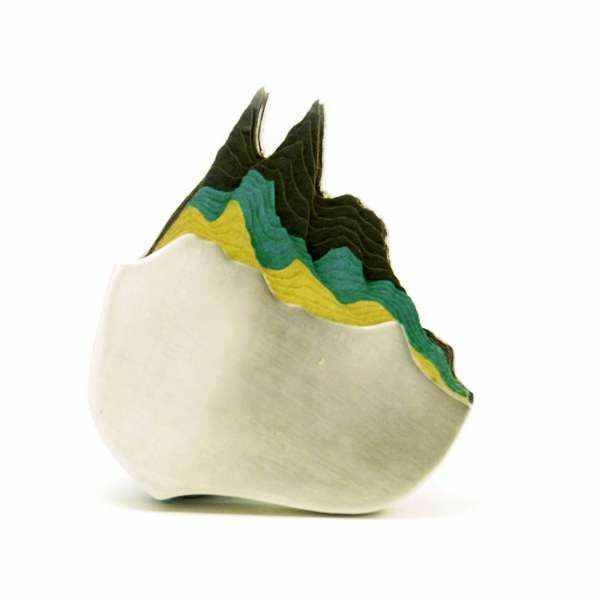 Fliss Quick (England) Fliss Quick’s jewellery can be viewed as anecdotal evidence; pieces which allude to an earlier event. She works as a narrator conjuring protagonists and their consequent environments or scenarios to build a vocabulary of making to evoke stories. This process allows her to present social comment in a removed and playful manner. Where she presents pieces as pseudo-factual objects, blurring the distinction between fact and fiction, she looks to raise questions about and essentially subvert, social norms and assumptions. « Office Folk » explores what happens when the spirit of ‘folk’ interrupts the usual expectations of an office environment. A bored office worker, who lingers in the stock cupboard, finds alternative uses for the tools and stationery he discovers: Employing makeshift methods he mis-appropriates and adapts common place objects to create escritoires (desk companions) to tickle, cheer and now with the departmental shuffle, flirt with his new colleague. 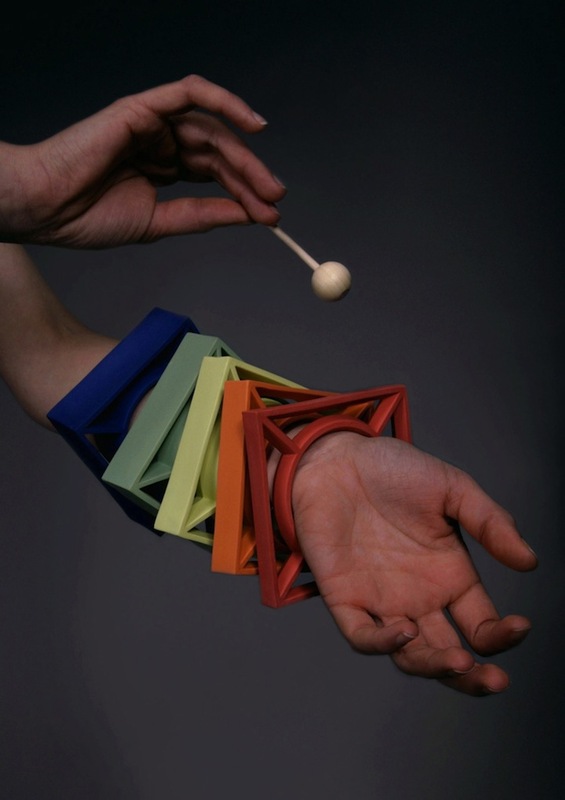 Fascinated by the fashion world Hannah Fewtrell-Bolton draws on its design terminology to create her Jewellery. Strongly influenced by street fashion and it’s capability to create an individual appearance, her collections are defined by the urge to make a statement and cause a reaction. 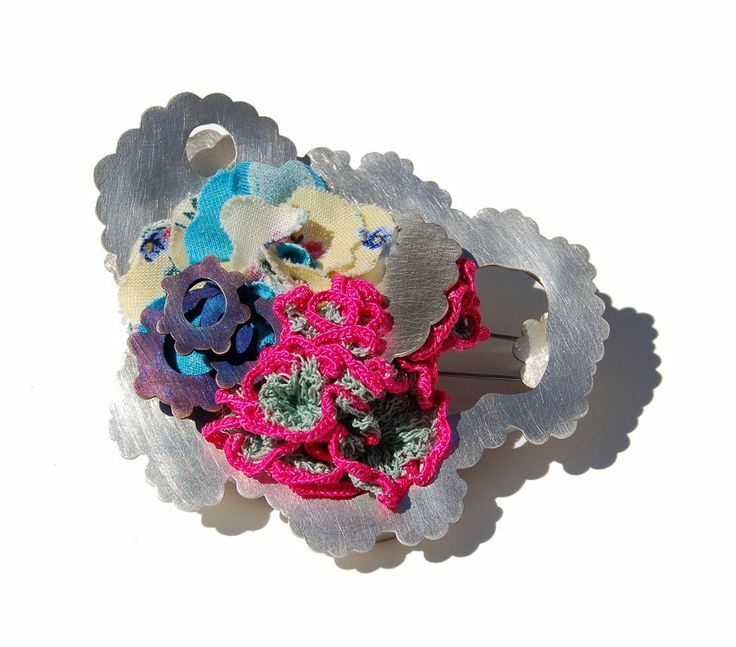 Hannah’s new work explores the ideas of individuality and fashion through contemporary textiles and illustration. The fast life of a fashion style is contradicted by the direct use of a traditional tool – the stitching frame – which again highlights the contemporary aspects of the graphics chosen. The essence of her work can be explored by the simple pleasure of seeing. ‘Destination Schmuck’ is the first show held in Munich by the ‘Made to Make’ collective, having first exhibited during Schmuck 2013 with the online show ‘Matching Items Available’. 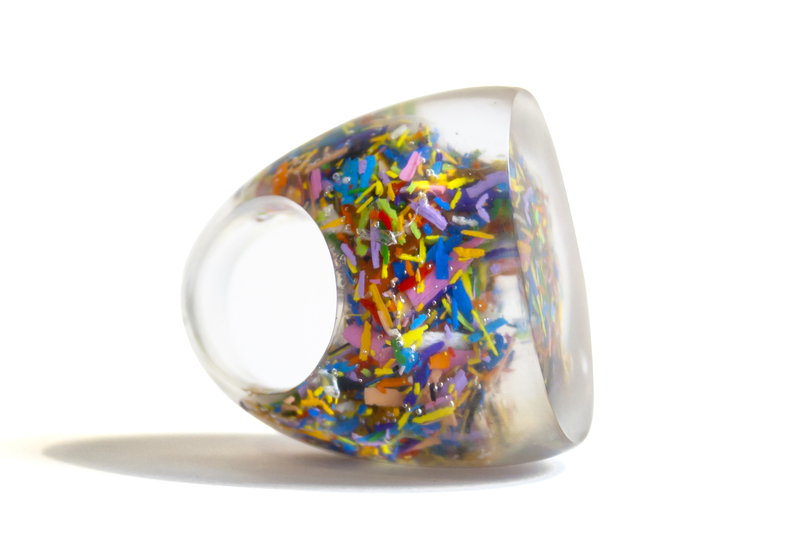 ‘Destination Schmuck’ will showcase new work created in response to the theme of Travel by the participating artists. Members Farrah Al-Dujaili and Natalie Smith have taken on the role of curators for the show. ‘Made to Make’ collective is proactive in creating opportunities and platforms to display our work and engage with the jewellery community at large. By undertaking collective briefs that question, confront and push conceptions of jewellery we aim to ultimately invigorate our individual practices. 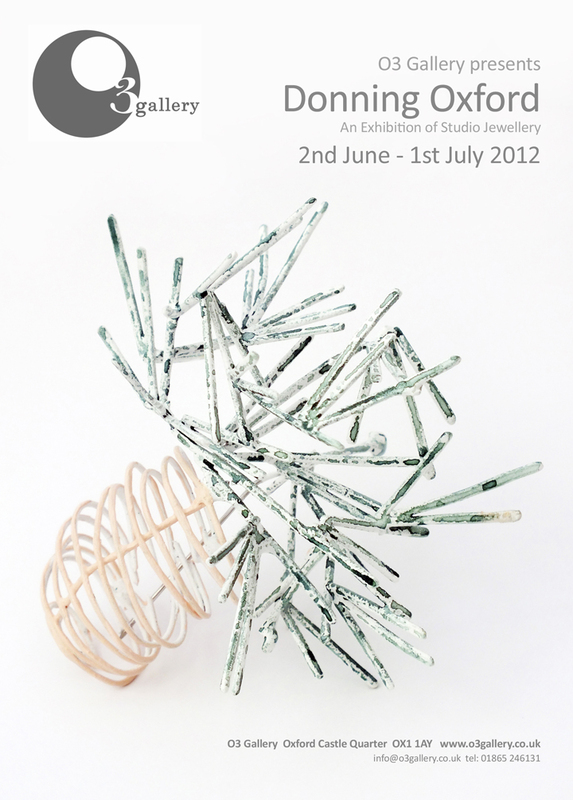 Each member’s work exudes craftsmanship, imagination and creative ingenuity distinctive of the art jewellery approach. The private view will be held on Thursday 13th March and the show will run until 16th March. Jo Pond - Remnants. Cocoon on suspender clip. L’evento, in programma dal 31 agosto al 6 ottobre 2013, vedrà l’esposizione di gioielli realizzati da importanti autori e designer provenienti da tutto il mondo. Il concorso è promosso dalla Fondazione Cominelli di Cisano di San Felice e da AGC Associazione Italiana del Gioiello Contemporaneo. Una sezione della mostra sarà dedicata alle opere realizzate dagli allievi del Dipartimento di Oreficeria dell’Università Statale di Belle Arti e della Musica di Tokyo con lo scopo di presentare e mettere a confronto i differenti percorsi formativi e i molteplici orientamenti del design internazionale. 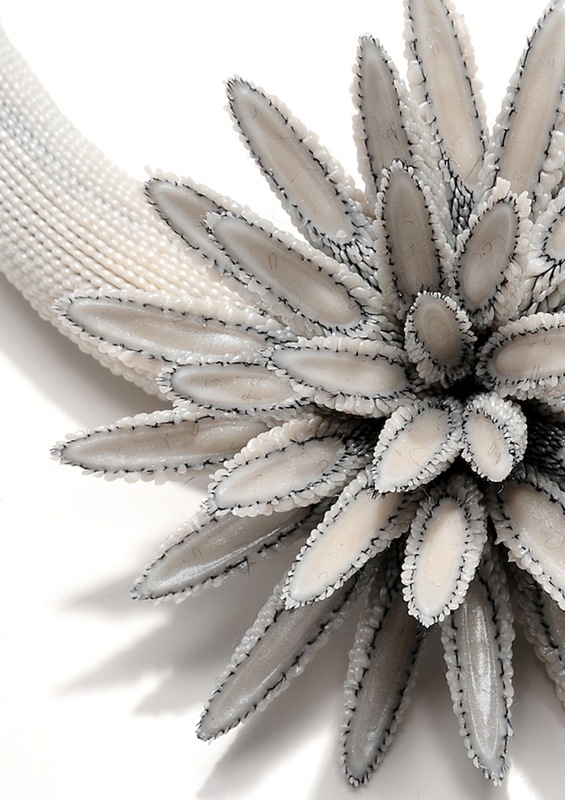 In the context of the exhibition dedicated to contemporary international jewellery at Palazzo Cominelli in San Felice del Benaco, a conference dedicated to the Japanese goldsmith ‘art will be in the Sala dei Provveditori of Salò. The speakers Ichiro Iino and Yutaka Nagai – a famous Jewellery artist, a member of the Association of Japanese contemporary jewellery JJDA – will describe the ancient Japanese art of casting techniques, and the new trends in jewellery design of the Rising Sun. The JJDA, founded in 1964 by Koji Iwakura, Yasuhiko Hishida and Yasuki Hiramatsu, has as its main objective the international exchange of ideas and projects between East and West. As every year Palazzo Cominelli, devotes a section of the exhibition to a prestigious design school. This year you can admire the works created by the students of the Department of goldsmith of the University of Fine Arts and Music in Tokyo, led by the Professor Ichiro Iino. The Department of goldsmiths of the ‘University of Fine Arts and Music in Tokyo was founded in 1887 and over the years have followed the innovations of technique and taste, has never forgotten the ancient traditions of Japanese jewellery and sculptures, among which stand out: embossing and chasing, metal casting, pottery and Urushi art (lacquering). 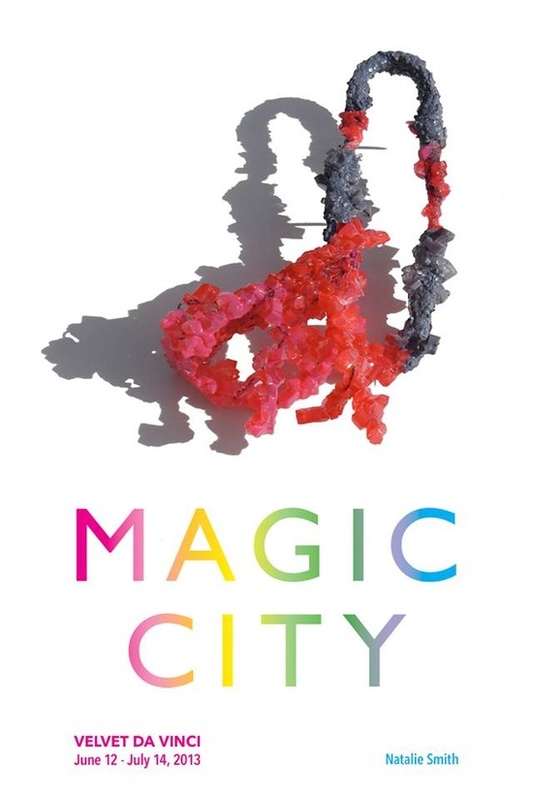 MAGIC CITY is an exhibition of current work from emerging and established artists who came through the School of Jewellery, Birmingham. Flourishing despite the recent global downturns, jewelers coming out of Birmingham have shown a resourcefulness and resilience in the making and presentation of their work. Velvet da Vinci is pleased to showcase a selection of this talented group.Contrary to the often-remarked grey of its post industrialism, Birmingham, a city of multiple cultures, has become a vibrant center for the arts. 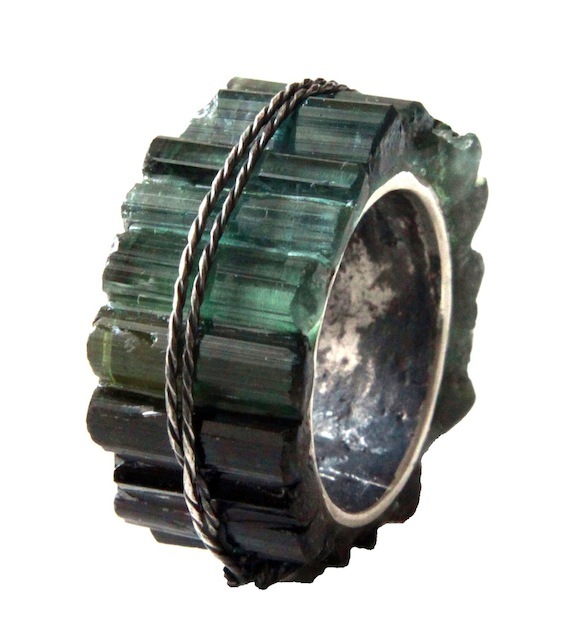 The artists of this city are forging a strong presence within the art jewelry world. They are making a name for themselves for producing distinctive and desirable work that is offbeat, loud, quiet, funny, thoughtful, unfamiliar and unabashed: The art jewelry coming out of this city is testament to the magic. 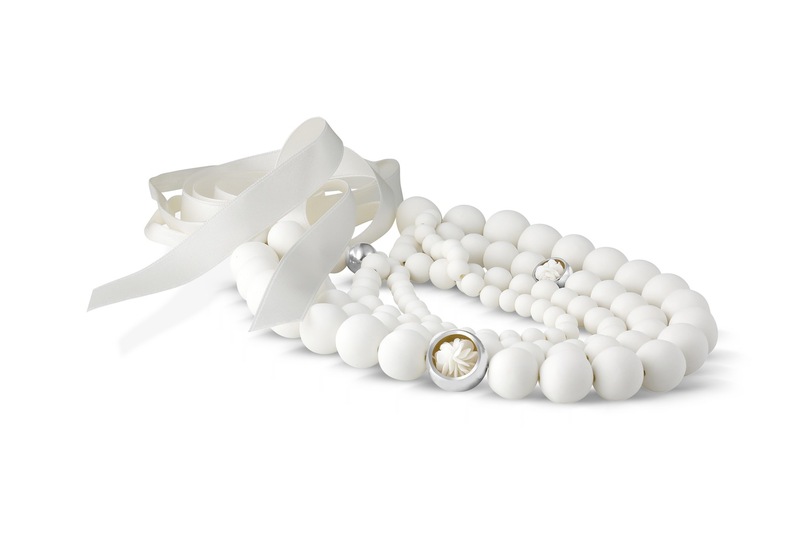 ​​‘Matching items Available’ sees ten art jewellers transform a mass-produced, fast-fashion necklace into something wholly different. ​These reworked pieces exude craft, imagination and creative ingenuity distinctive of the art jewellery approach. 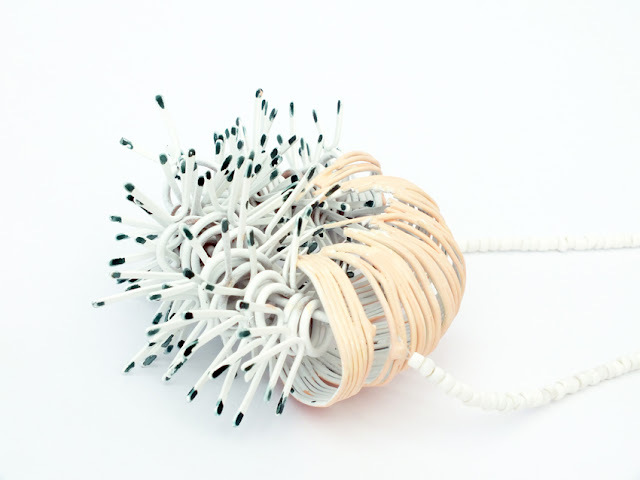 ​This brief was set to question, confront and push conceptions of jewellery and to ultimately invigorate our individual practices to show ‘Made to Make’ as a collective that is proactive in creating opportunities and platforms to display work and engage with the jewellery community at large. ​Within the art jewellery community, the Internet is an invaluable tool of learning, display and connection. Reflecting the value of social media in the visibility of art jewellery Made to Make embraced the virtual space of the Internet for Schmuck 2013, with the integration of Twitter and Youtube within the exhibition. Creating a sensory experience in the virtual venue, with the aid of photographic, video and audio ‘sketches’ provided by each artist. « ‘Made to Make’ is a collective of art jewellers who are all alumni of the Birmingham Institute of Art and Design’s School of Jewellery MA course whose diverse collections have already culminated in an exhibition in the UK. Hannah Fewtrell-Bolton - ’High Street Incognito’ - Necklace Primark necklace, advanced plastics, enamel paint, plaster, pigment. 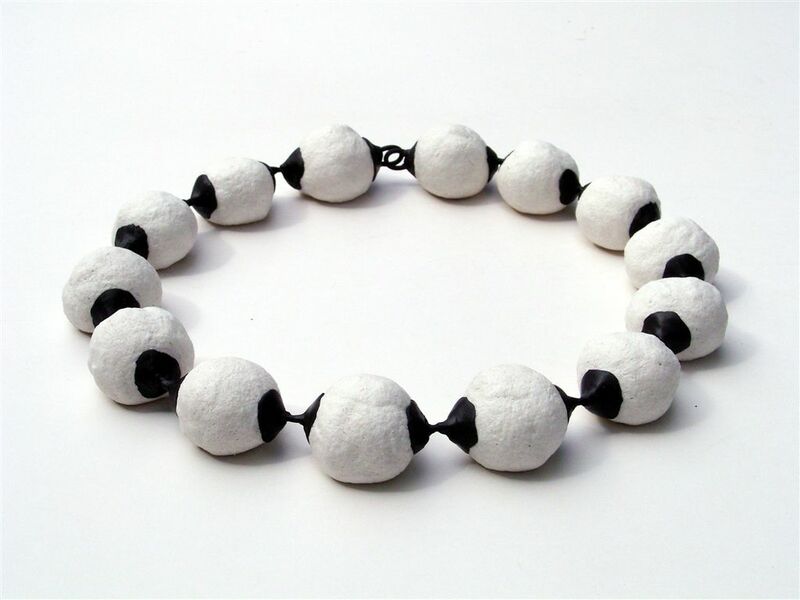 Hannah Fewtrell-Bolton – ’High Street Incognito’ – Necklace Primark necklace, advanced plastics, enamel paint, plaster, pigment. 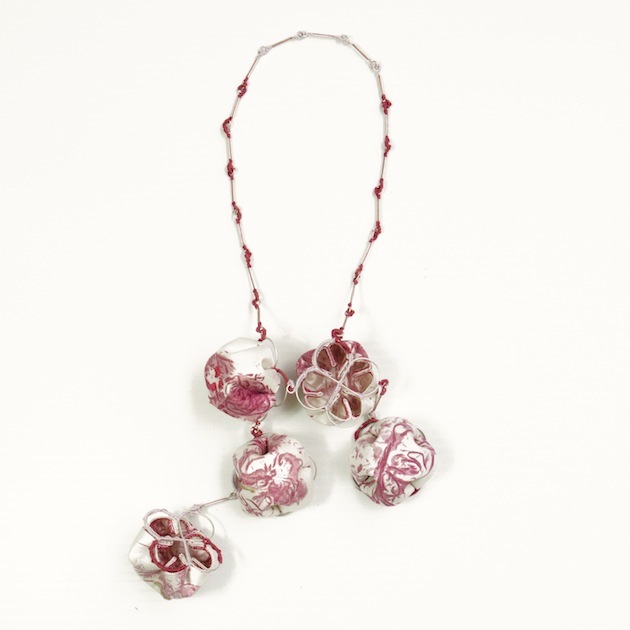 Li-Chu Wu – ‘My Pink Garden’ Necklace Primark necklace, paper sheets, paper threads, gild wire, nail polish, acrylic paint & glue. 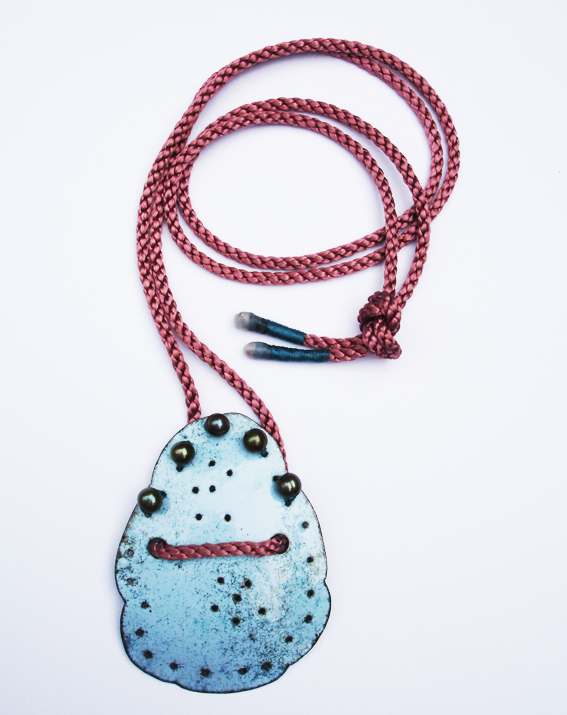 Farrah Al-Dujaili – ‘Some Strange Species’ Necklace Primark necklace, copper, fabric paper, thread, plastic beads, acrylic dip, acrylic paint, watercolour pencil, nail varnish, ceramic beads. Katherine Richmond ‘Community Values’ Brooch Primark necklace, book pages, epoxy glue and solder. Sally Collins – ‘Hey! Why So Serious?’ Collar brooch Primark necklace and textiles. 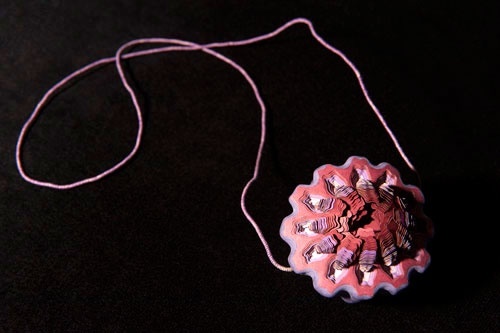 Natalie Smith – ‘Underneath It All…’ Neckpiece Primark necklace, textile, paint, icing. Alexandra Hopp – Andrea Coderch – Annette Dam – Babette Von Dohnanyi – Claire Lavendhomme – Claire McArdle – Corrado de Meo – Demitra Thomloudis — Drew Markou – Erica Voss – Farrah Al Dujaili – Galatée Pestre – Helena Johansson – Heng Lee – Isabel Dammermann – Jane Richie – Jo Pond — Jorge Manilla — Josephine Siwei Wang — Kate Rohde — Karen Bartlett — Karen Vanmol — Karin Roy Andersson — Katharina Moch — Kevin Hughes — Lauren Markley — Laurence Verdier — Lital Mendel — Lynn Batchelder — Mallory Weston — Masako Hamaguchi — Michelle Kraemer — Minna Karhu — Patricia A Gallucci — Rachel McKnight — Réka Fekete — Rhona McCallum — Ria Lins — Sam Hamilton — Silke Fleischer — Sofia Björkman – Thea Clark — Vinit Koosolmanomai — Yeseul Seo — Zoe Robertson. L’Art appliqué ? Qu’est-ce que c’est ? Quand la création fait irruption dans le quotidien, quand le bijou se fait manifeste, quand la céramique se fait poème, quand le design change la vie, quand les artistes posent un regard neuf sur tout ce qui fait l’ordinaire de chacun et par l’ « intelligence de la main » créent des pièces uniques, c’est là que sont les Arts appliqués. Design d’objets et de mobilier, création textile, céramique contemporaine, bijou et orfèvrerie, verre, travail du métal,… Venez découvrir le meilleur des Arts appliqués européens cet été aux Anciens Abattoirs de Mons. Créateurs confirmés et jeunes talents, dont les créations seront présentées dans le superbe cadre de la Grande Halle, dialogueront dans une scénographie confiée à Evelyne Gilmont, designer bruxelloise qui enseigne à l’Ecole supérieure des Arts plastiques et visuels de Mons. le Prix des Maîtres d’Art, doté de 3.500 €, décerné à un créateur âgé de plus de 35 ans, auteur d’une pièce maîtresse. le Prix Jeune Talent de 3.000 euros, décerné à un jeune créateur âgé d’au maximum 35 ans.